KARACHI: Zia Muhiuddin, an internationally acclaimed performer and icon in the realms of culture, enthralled literature buffs by reading out excerpts from the work of equally accomplished and respected satirist, Mushtaq Ahmed Yousafi. The event was organized by Arts Council of Pakistan in Karachi on Sunday to pay befitting tribute to Yousafi on his 95th birth anniversary. Zia Muhiuddin presented the comic writing of Mushtaq Ahmed Yousafi before the audience with his unique touch of humor. Remembering Yousafi, Zia said his writing is not only rich with literary terms and vocabulary but the unique style of writing he adopted made him ever best. 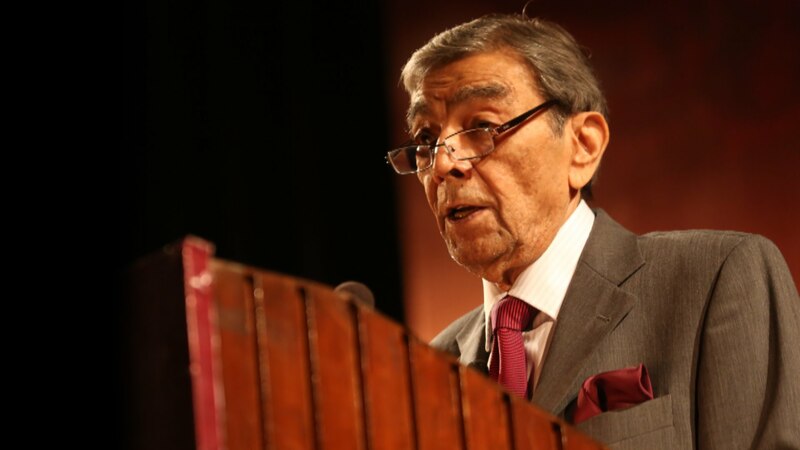 “We are indeed living in the era of Mushtaq Ahmed Yousafi,” said Arts Council Pakistan President Ahmed Shah. Yousafi Sahab, he said, was the last writer of our era who factually amused people in general, adding that his writing has an irreplaceable position in Urdu literature. Among other celebrities, the event was attended by Amina Syed, Dr Pirzada Qasim, Dr Aliya Imam.